Unmatched. Unrivalled. One of one. This is Phantom. Few motor cars attain iconic status. None can lay claim to the unique place Phantom holds in history. This is not merely a motor car. It is an incomparable work of art. This is Phantom. One of One. 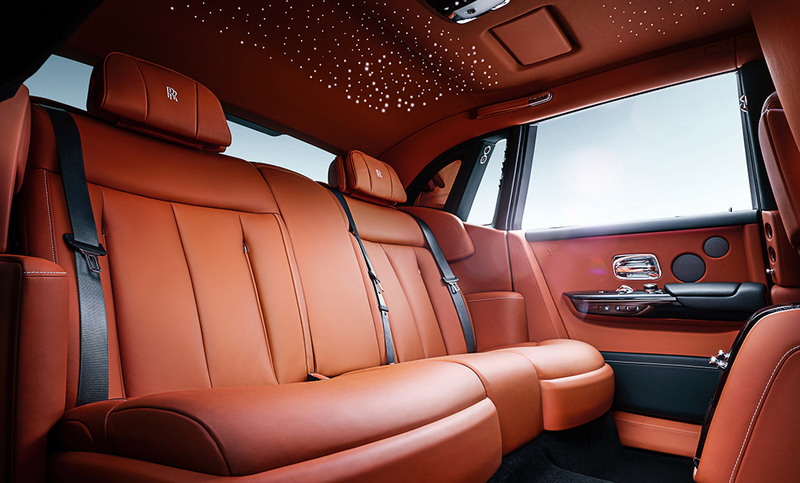 At Rybrook we believe your experience should be an exceptional one, for further information or to arrange a configuration session please speak to our teams at Rolls-Royce Motor Cars Birmingham or Roll-Royce Motor Bristol for further information. The side view design theme of Phantom recalls the elegance of Phantom V. By separating the front wing line from the waist line, we introduce a sense of movement and this line circles back under the car inferring a lighter, fleetness of foot,” comments Giles Taylor. Featuring the iconic 2:1 proportions that have endeared so many to every generation of Phantom, designed with a short front and long flowing rear overhang with an upright front. The rear lines of the car in side view circle forward to the waft line and lead the eye back through the front wheel. The largest single-piece of hand-polished stainless steel on any motor car is the side frame finisher of New Phantom. Beautifully accentuating the elegant stance of the car and with a rounded softer feel, preserves the iconic wide C-pillar for privacy, while allowing the eye to transition easily to the rear. Also available as a Phantom Extended Wheelbase, a polished stainless-steel strip is placed on the sill of the Phantom EWB to differentiate it. Refined elegance. Ultimate poise. Effortless stature. New Phantom defies conventional description. Awarded “Best Luxury Car” at the 2018 UK Car of the Year Awards, new Phantom is a motor car that surpasses all expectations. Even at rest, its sweeping, muscular lines inspire reverence whilst delivering seemingly endless power from its V12 twin turbo engine. Phantom is immersed in heritage yet engineered for the future. Hand-built in Goodwood. Inspired by you. Commission a Rolls-Royce Phantom that is inimitably and unmistakably yours with our exclusive Bespoke Programme. From expertly embroidered headrests to customised treadplates – or a personal, hand-painted monogram integrated into the coachline. No statement is too bold and no detail too intricate for our designers and craftspeople. Rekindle memories. Reignite passions. 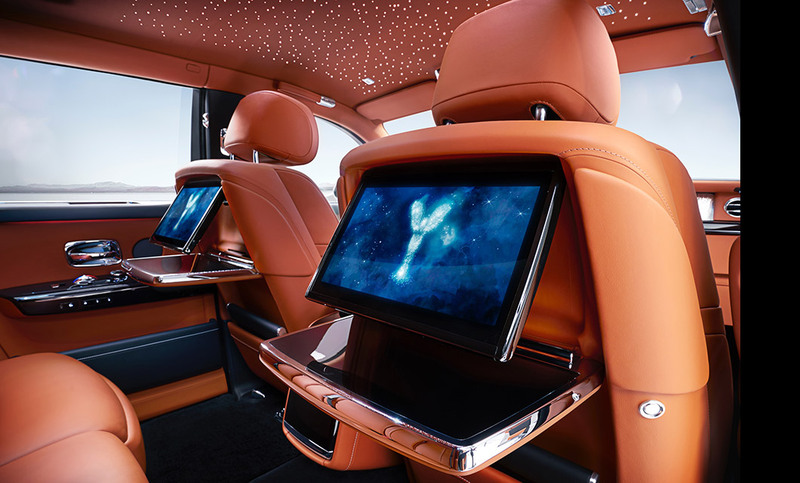 Bring your Phantom to life specifically tailored for you in the ultimate expression of self. For further information on our Bespoke Services, please contact the team. Below are the technical specifications for the New Phantom. Interested in a New Phantom?